Ben Radatz is one of four founding members of MK12, a design and filmmaking collective with acclaim in both commercial and artistic arenas. Founded in 2000 as a means to produce original content, MK12 has evolved into a full-service creative studio, adapting their unique brand of filmmaking to title sequence design, game cinematics and promotion, music videos, and network and advertising projects, amongst other creative endeavors. How did you discover your interest in design and filmmaking? I’VE WANTED TO WORK IN FILM for as long as I can remember. The medium has just always felt very natural to me and is usually the easiest way to excommunicate ideas from my head. What I’ve wanted to do in film has changed over the years, as I imagine it always will. When I was a kid it was special effects and miniatures, then animation. As I got older those interests kind of merged into making my own short films, which is a format that I still love. A lot of people see shorts as just a stepping stone to directing features, but for me it feels like the right place to bring all of my interests together under one roof. We do a lot of title sequence design at MK, which I see the commercial equivalent of making short films. It gives us a lot of creative freedom and encourages experimentation and abstract thought. Nowhere else in feature film are there as many opportunities to artfully blend storytelling and design and we like the challenge. That said, I’ve never thought of myself as a designer per se and we as a studio don’t really consider ourselves a design outfit. To us the term seems a bit limiting, like we’re adhering to a set of principles, when we often deliberately try not to. But at the same time we’re always on the hunt for beauty and form and meaning where it doesn’t or shouldn’t exist, which by definition is what design is. And of course, as typophiles and lovers of good design, we take a lot of inspiration from the greats. Buy us a beer and we’ll talk your ear off about the Bauhaus and Buck Fuller. MK12 Summer '14 Reel from MK12 on Vimeo. 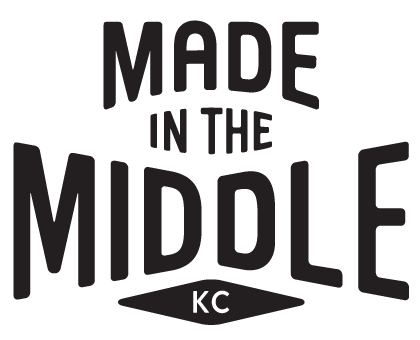 You co-founded MK12 with THREE other of your art school buddies and choose to set up shop in Kansas City. How has Kansas City influenced you creatively? THERE’S SOMETHING TO BE SAID FOR RELATIVE ISOLATION, even if it is more of a state of mind these days. It just changes your perspective on life and on your work by extension. Things move a bit slower here, which is fine with us. That’s not to say that we don’t stay busy, but we don’t feel the same pressure as our peers on the coasts to meet our bottom line. Here we’re able to stay small, be selective and do things at our own pace, to the extent that we can in this line of work. It seems that most artists who call Kansas City home are proud to be here. We own jazz, we own Film Row. We share letterpressing with an equally-isolated midwestern town. We have an amazing art school and museums. History and legacy matters here, which to us is an important part of our work. And we’re surrounded by all kinds of weird and awesome stuff. It doesn’t take more than an hour of driving in any direction to wind up in a small town with an oddball story and a handful of junk shops, the contents of which inevitably find their way onto our shelves, and often into the work itself. And I think we all feel compelled to protect and preserve what’s here. Kansas City is the nerdy little brother that could easily get beaten up by the bullies, but we’re not gonna let that happen. MK12 is celebrating their 15th year. Describe how has your studio evolved over the last 15 years and what do you hope for the future of your company. FOUR OF US FIVE ORIGINAL PARTNERS ARE STILL HERE, so in terms of studio management very little has changed. What has changed are the people we work with. The way we’re set up, everyone who comes on has an opportunity to leave their creative mark on our portfolio. Though we’re often told otherwise, we don’t have a studio aesthetic that we expect our employees to follow; we encourage everyone here to use MK as a venue for their own interests and creative ambitions. The projects have gotten much bigger and the industry has changed dramatically over the past 15 years; when we started out, there was no real market for the kind of work that we did, but now motion design is an establishment. Art and vocational schools have courses on motion graphics, and there are countless books on the subject. So where before we were able to work in a relative vacuum and were known as the weird garage rock kids down the street, now we find ourselves competing with dozens of other studios with a similar M.O. We don’t think of ourselves as particularly competitive and prefer to follow an if-you-build-it-they-will-come model, and so we’ve had to find creative ways to stay relevant in an oversaturated industry. Working in film has always been a goal of ours. We don’t mind advertising and tend to see every project as an opportunity to learn something new, but many of us come from film backgrounds and feel much more comfortable there. So it’s been very rewarding to see MK make that transition into film over the past seven-or-so years, and we’ll likely continue down that road. We also have ambitions to produce original content for TV and perhaps even video games. Bottom line, so long as we’re able to make a living working on projects that satisfy us creatively, we’ll be happy. Still from The Kite Runner title sequence. Your motion graphics, in Stranger than Fiction played such an integral part in creating the story of the OCD character, Harold Crick. Describe your process working on that film. WE ACTUALLY CAME IN REALLY LATE ON THE PROJECT. Marc Forster, the director, had an idea of what he wanted and had already gone through several rounds of explorations with other studios but wasn’t very happy with any of them and he was ready to give up when someone else on the film recommended us. In a lot of ways it was very liberating, as we were there on borrowed time and nobody had any expectations that it would work out, so we were free to try things that we might not otherwise try on a commercial job. We somehow hit the right chord with Marc in our first round of tests and we were off to the races. The sequences that we worked on had already been edited, so our job was just to find ways to re-enforce what was already there, with an eye towards illustrating what was going through the mind of Harold Crick. To that end they gave us a lot of room to experiment with different approaches and techniques until we hit on a final look that we were all happy with. We did a lot of research into Obsessive Compulsive Disorder to help inform our visual direction, but ultimately it was Will Ferrell’s take on the character that proved to be our biggest inspiration. He gave us tons of cues to play off and in a lot of ways dictated the design itself. You have created countless sequence designs, commercials and even game cinematics. If you could select one piece from your portfolio that you are most proud of, what would it be and why? ASK THE EIGHT OF US HERE and you’ll likely get eight different answers. For myself, I’d choose our work on Stranger Than Fiction. Even though it wasn’t the first time situational type and graphics were used in feature film (David Fincher’s Fight Club and Panic Room come to mind), for whatever reason it really caught on and even launched a small trend in the motion design world —for years afterwards we’d see countless commercials for cars, pharmaceuticals, whatever, with kinetic type tracked in. Hardly a month goes by still that we’re not asked to repeat what we did. Just the other week we found a plug-in for Adobe After Effects that simulated “all that Stranger Than Fiction crap”. Semi-Permanent Sydney 2014 Titles from MK12 on Vimeo. Still from James Bond, Quantum of Solace title sequence. Designing the title sequence to James Bond, Quantum of Solace must have been a dream job. Describe what it was like to get the call for that job and your inspiration and process in behind creating this work. IT’S SAFE TO SAY THAT DOING A BOND TITLE is about as close to a ceiling as you’re likely to get in our line of work—not only is it the biggest film franchise in the world, it’s also the one that leans most heavily on its title sequences. In its 50-year history there have only been three other designers—Maurice Binder, Robert Brownjohn and Danny Kleinman—so it was quite an honor to do them. We didn’t actually get a call about it. We’d already been working on Quantum designing all of the computer interfaces and visual tech in the film, but the title sequence never came up. A few of us were out in London working at Pinewood Studios with the rest of the team, and on our off-hours we were secretly coming up with ideas for a title sequence. We hired a model and did a quick-and-dirty shoot in the workshop of one of the prop guys, and put together a mock sequence that we then cold-pitched to the director and producers. That got us in the door, but it was only the start of a months-long conversation about what the titles should be. We went through several rounds of tests before we settled on a final direction, then started planning how to pull it off. The Broccoli’s, who own the franchise, were surprisingly cool about letting us do things our way. They’ve been around since the beginning and understand that the titles work out best when not designed by committee, so most of the pressure we felt was self-imposed, wanting to honor the legacy but also leave our own mark. It’s an unwritten rule that all Bond titles include a few key ingredients, namely female silhouettes, an element of danger, a hint at locations in the film and Bond himself. What isn’t as obvious is that almost every Bond title is also a technical one-up of the one before it and are often a showcase of the the most bleeding-edge tech around. So these were all things that we wanted to factor in, along with a micro-narrative that fed into themes from the film. It was a lot to consider, but we never felt really out of our element; we’ve all grown up on Bond films and have been inspired by their titles for years, so we felt very comfortable with the language. Ultimately we settled on a design that referenced early Maurice Binder-era Bond titles—like Dr. No and You Only Live Twice—within a modern framework, using computer-assisted cameras to stitch together stylized CGI and miniature environments. Since Quantum is about Bond earning his wings as a new agent within MI6, we through it appropriate to go back to the roots of the franchise. MK12 // Quantum of Solace: VFX Reel from MK12 on Vimeo. FIRST, THE PEOPLE I WORK WITH. We’re a small shop and are very careful about who we bring in, and over the years we’ve grown into a collective of really amazing talent. After that comes our projects, both internal and external. Making our own work is very important to us; that we can extend that to our commercial projects is icing on the cake. And, of course, we’re glad that we can do it all here in Kansas City. We feel like we can be ourselves here. What advice would you have for young designers just starting out who are hoping to get into motion? FIND YOUR CREATIVE VOICE before you decide what you want to do with it. Because there are so many schools that teach motion design these days, a majority of the student reels we see are biased towards emulation over creation—lots of fake title sequences and commercials. We prefer original thought over execution, as the latter can be taught. Persistence matters. Especially at smaller studios with no HR department or formal hiring practice, it’s very easy to get lost amongst the dozens of other applicants every month, more so because the people reviewing your work are likely busy making work themselves. Don’t get discouraged—just continue to build your reel, and keep updating the studios you really want to work for. MK12 ZeroFilm NYC Open from MK12 on Vimeo. What TV shows or movies are you currently into? Lately I’ve been binge watching Twilight Zone and Alfred Hitchcock Presents episodes on Netflix. My partner, Tim turned me on to Black Mirror, which is some of the best TV I’ve seen in years. Nightcrawler, Grand Budapest Hotel and Birdman are probably my three favorite films of last year; Ex Machina and It Follows take the prize so far this year. Guaranteed that you’ll find one, or several of us at YJ’s Snack Bar on any given day, especially when the local jazz guys are practicing inside.